Ursu, Anne. Real Boy, The. Walden Pond Press (HarperCollinsChildrens), 2013. 341p. $16.99. 978-0-06-201507-5. Cover Appeal: Fantasy lovers, cat lovers, artistic students. The cover begs to be studied: What's over the door? What's Oscar doing? We all have things we are good at and things we aren't. And if at all possible, we avoid those things we aren't good at or don't like to do. Unfortunately for Oscar, there's no escaping the people. Oscar, the 11-year-old hand for the magician Caleb, is very good with cats, small spaces, and plants. The plants speak to him, in a way people cannot. For the past five years, he's been responsible for picking and mixing the plants together to provide the magic needed for Master Caleb and his apprentice, Wolf. And everything is fine, as long as he get's to stay out of the shop, away from everyone. But, Master Caleb has to go on a trip and Wolf disappears. Now Caleb has to keep the shop running. And that is bad enough. But something was odd. About Oscar. About Caleb's leaving. About the Shining People on the hill. About everything he once believed. It too me until this paragraph to get into The Real Boy. Something about the writing style: the word choice, the imagery, the sense that I was being spoken to personally, all came together to transport me back in time. I felt like I was in The Barrow. In the time of good old-fashioned magic with apprentices, sorcerers, poulitices and hidden charms. It reminded me of one of my favorite books, The Demon King by Cinda Chima and brings to mind another of Ursu's books, Breadcrumbs. The beauty continues in the interactions between Oscar and Callie. Callie is mostly sure of herself and Caleb is mostly not. He has no censor, and when forced to talk to people, his thoughts pop out of his mind and into his mouth. Callie, while careful what she says, uses her facial expressions, and the times when she can talk to Caleb separately, to get her point across. You have the strange sickness affecting the "Shining People's" children; these mysterious and weird ailments that nothing seems to cure. You also have Caleb's frequent trips into the continent as well as Madame Mariel's, the healer and Callie's master, absence. Underneath it all, you have both Callie and Oscar trying to figure out their place in the land, as assistants, who they are, and what they truly believe. Oscar is desperately trying to keep the shop running while Caleb's gone but he not only can't look a person in the eye, he doesn't know how to frame his responses in a non-offending manner. Callie has the gift of communication but doesn't really know all the properties of plants in order to provide the right healing for Madame Mariel's patients. Even though Oscar is afraid and lacks confidence when he talks to people, even though he'd rather stay in his pantry and work with his plants, he forces himself to work in the shop each day. He continually steps outside his comfort zone, with no hint of a personal incentive. It's just who he is, even though he can't see it. "She promised, and so Oscar believed her." (104) <--profound in it's simplicity. Can reading two of an author's books make you a fan? Because I feel like a fan. I don't want to say Ursu's writing is simple. It isn't. But, it doesn't have all the "trappings" you find in some contemporary fantasies. There's no instalove, no overwhelming action without cause, no overexplaining as if the reader can't be trusted to understand what the author is saying. The magic seems more organic. The characters seem more developed. That being said, it's a hard sell in today's supernatural paranormal world. Books like Ursu's don't get the recognition they should. It's a book that requires the reader to engage. And a teacher or librarian to talk it up. I've given the 6th grade teachers Breadcrumbs and they recommend it to their high ability students. I will do the same with The Real Boy. I'll give it a spot on the Good Reads table. I'll talk about it on our school news. And I'll make sure the teachers get a copy to read at home. Thank you to Walden Pond Press for allowing me to jump on this tour and share my love of their books! Appelt, Kathi. True Blue Scouts of Sugar Man Swamp,The. Atheneum Books for Young Readers (Simon and Schuster), 2013. 336p. $16.99. 9781442421059. 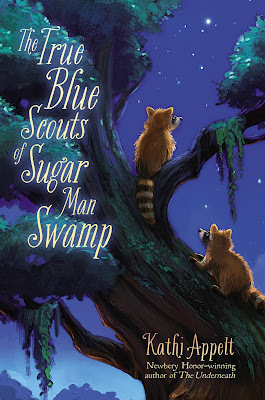 If you're looking for a great middle grades novel that BEGS to be read aloud - look no further than the True Blue Scouts of Sugar Man Swamp by Kathi Appelt! Keep reading below to find out why Grandpa Audie carries a Polaroid Land Camera. You'll wish you carried one too! My father loved cameras, and he loved taking photographs. But he never owned a Polaroid Land Camera, at least not one that I can recall. However, our neighbor across the street, Tom Cunningham, owned one. And about the time that my sisters and I ranged in ages from 5 (me) to 3 (my youngest sister B.J. ), with Patti (4) in between, Uncle Tom as we called him, walked across the street one night with that big, fat camera and took a group shot of the three of us. That photo is long gone, but I definitely remember it. Patti was sitting in the middle atop our overstuffed living room chair, and B.J. and I sat on the opposite arms, straddling them like we might straddle a pony. To say that we looked goofy would be an understatement. We were all in our summer nighties, too, which added to the goofy charm. A scruffy trio of sisters, our hair still wet from our nighttime baths, and our faces scrubbed and shiny, looking directly into the camera, looking surprised. It was a sweet photo, and my father treasured it for many years, long after it was taken. The thing about a Polaroid was that it was automatic. There, right in front of you was an instant photo. I know that these days, with digital photos, that’s nothing new. But back in the late fifties and early sixties, photographs were anything but instant. The Polaroid was an exception. It didn’t require a darkroom, it didn’t require a two-week wait while you sent the film off to a lab to have it processed and hoped like crazy that at least one photo had merit. But the Polaroid had requirements nonetheless. I remember watching Uncle Tom. As soon as he took the photo, he popped the melted flashbulb out of the camera where it dropped into the palm of his hand. There he bounced it up and down to keep it from burning his skin. “Don’t touch,” he told us. Then he pulled the film out of the back of the camera and waved it back and forth in the air. If he had said the word, “abracadabra” it couldn’t have been more magical. While we watched, he carefully peeled the film apart. Then, he took a lipstick-shaped tube of fixer and rubbed it over the finished photo. Voila! He held it front of us and said again, “Don’t touch.” It wasn’t hot, but it was still sticky from the fixer. A touch would leave a fingerprint that would never go away. We gathered around. There we were, three small girls smushed together on the chair, only minutes older than we were when he snapped the shot. We were fascinated. But not as much as our father. He loved Mr. Cunningham’s Polaroid Camera. And he loved us, his three daughters. He kept that photo for as long as he lived, and by the time he died, forty years later, it was so faded that you had to know what was on the surface of it to actually see it. What I know about that long-gone Polaroid photo is that it was important to my dad. And thinking about it, it’s still important to me. It reminds me of my two sisters and me and how many moments we shared together, the three of us taking up space together, happy. So, when I thought about my character Audie, and his quest for the Ivory-billed Woodpecker, it seemed important to me that he use a Polaroid Land Camera, not necessarily because it was the only camera in town, but because it reminded me of the wonder of catching a moment in time that can’t really be repeated, only treasured. I suppose every photo is like that, to a certain extent. But there was something magical about that Polaroid process—the melty flashbulb, the film being pulled out of the back of the camera, the lipstick-shaped tube of fixer. Everything had to happen in a certain order for the magic to occur. When I sit down to write my stories, I think hard about the objects that my characters use and carry and treasure, because I think they say something about the characters themselves. But sometimes, like it was with the Polaroid, I simply hand over to my characters something that I loved too. I loved Tom Cunningham’s Polaroid camera. I loved my dad and sisters. I especially loved the surprise of it all. And that is the very best part of all about writing and reading stories. Sometimes, if you’re lucky, you even get a photo, like my character Audie did, of a surprised armadillo. Or a bird that was so beautiful people said, “Lord God,” whenever they saw it fly over their heads. We might not be able to get the Polaroid back. But maybe we can find the bird. Lord God, I hope so. 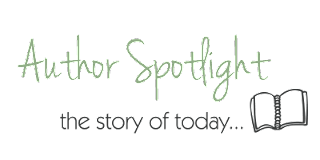 Be sure to visit Kathi’s other stops on her blog tour! 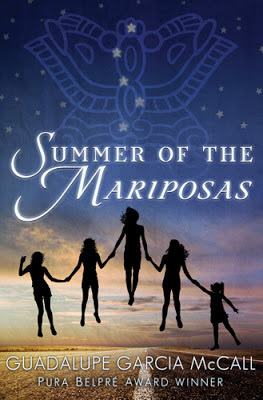 This is it, the final installment of Summer of the Mariposas! I know you are dying to know what Maria (@mselke01 in the purple below) and I (in the blue) thought of this book. Make sure you head over to Maria's Melange to read her take on this final section. First time here? Check out the previous weeks before, then dive right in! After that action-packed middle, this section was something of a let down. The journey home seemed to pass quickly with few obstacles to hinder any progress. Even the very final confrontation was done quietly. I think your point about reading a book as a whole may have helped here. If this chunk hadn’t been read alone, would it have bothered us as much to have it over so quickly? Often I kept going back to the beginning to see if I could determine when Odilia is telling this story. She often came across as much older than her fifteen years or as if she’d been caring for the girls most of her life. Do you think she was looking back on these events from somewhere in the future? That’s funny - I didn’t really see her as acting too much older than fifteen. I guess it could partly be because I don’t know that age group well (I teach younger students, and my own sons are well below teen years) and partly because I assumed her maturity was partly due to being the oldest. As soon as I was done I compared that last scene to when they dropped the dead guy off at his house. It was the night of his daughter’s quinceanera and proved to be a disruption. I thought the dad would make some sort of scene but it was over before it fully begun. I liked how we circled back but I would have liked to see more of the sister’s growth since the time in this section passed so quickly. I liked that the dad didn’t make a scene here - I think it fit with what the Virgen said to Odilia earlier about the sun needing to descend into darkness for a time in order to learn. I can hope that her father has learned from his slide into darkness, and may become a better person because of it. I agree that I wanted to learn more of the other sisters! The whole point of the “five sisters together” made me think we’d get more about them. Although none of the ladies wanted to leave their grandmother, they were all anxious to return to their mother. Again I flashed back to the beginning when they paid off the attendant to get across the border and wondered why that wasn’t being done here. Was it because back then, they didn’t want to draw attention to themselves but now the task was done it was of no consequence? I guess if they were discovered on the way down - with a dead body - it would have been a bigger problem. On the way back, if they are snagged there will be a media frenzy but they’d still be sent home eventually. We definitely had elements of the “magical flight” as well as “rescue from without”. Once again Virgen de Guadalupe (I wonder if the author is named for her) comes at the last spinning of Odilia’s earrings. This time they get to visit her (flight part 1) and then she prepares for their safe return (flight part 2) intertwining these two stages of the journey. Ahh... I didn’t analyze the journey carefully enough at this stage. I guess that “rescue from without” is a piece I missed. It’s like Han Solo sweeping in at the last moment to help Luke as he attacks the Death Star. I didn’t like how little the girls themselves had to do to return home, but I can see that it could fit with the overall type of story here. I thought the crossing of the river as well as the meeting with dad were both parts of “crossing the return threshold”. They literally crossed on the boat in the same waters that started their journey. The scene with the father, while weird, was one Odilia and the mom both needed. It solidified Odilia’s maturity and set their mom on her journey to “...remind her who she is, who we are, and what we are all meant to become...” (275). The mom points out how everything is about to change but everything will be all right. (292-3) (Though in hindsight I wonder how she got to the station to begin with?) I found the scene with dad - especially those other girls - to be a bit over the top. Those girls are what rubbed me the wrong way while reading, though once we got more information about their mom the scene felt more realistic. Odilia becomes the “master of two worlds” when she realizes who the flowers are for as well as when she becomes happy for her mother’s new relationship. She understands how both things will help to set the future right. Which leads to the very final part of the journey the “freedom to live”. La Llorona is set free from her wanderings and so is the family. I liked how this part turned out. While the last chunk felt like it jumped ahead too quickly, I did like how both her mother and La Llorona’s stories ended. It felt hopeful, yet real. I enjoyed this book. I do wish that the ending was as fleshed out as the other two parts because it would have been interesting to see how the sisters matured. We know it happened along the way but what changes did this new maturity bring to their relationships with each other as well as their father? Since they’d heard rumors about the dad, can we assume he’d stayed near? Why did he ever think his scheme would work after being absent so long? I will need to reread this one in one big gulp to see how it impacts my overall enjoyment. I wanted more at the end. I didn’t really “get” the dad... but I wonder if that is more because of the background I have (with my father and husband, I just can’t even get into this dad’s head at all). I really loved so many things about the book, though. I loved the mythical entwined with the realistic. I loved the sisters. I loved the imagery. This was a winner, and I think McCall absolutely deserves the honors she’s received for it. Here we are at Week 3 and it's only taken us over a month to get here! My time has just been consumed by other! I look forward to the rest of the year playing out in a much calmer manner!! ::crossesfingers:: ::knocksonwood:: ::saysaprayer:: Thank you to my book buddy, Maria, for hanging in there with me! This week we discuss Part 2 of the book, The Initiation. As a reminder, Summer of the Mariposas is a modern day retelling of The Odyssey. 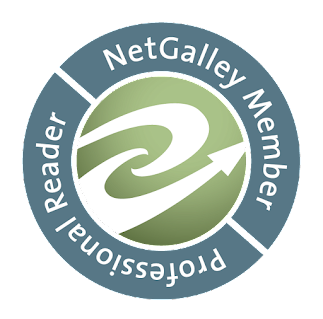 Head over to Maria's Melange to read her thoughts on this section. She has some interesting thoughts on how this book relates to Homer's and which, if any, characters align to his original ones. Wow, it’s been a little over a month since we were supposed to finish this! I can’t believe I let so many things get in the way! But, hopefully things are settled now. The horizon looks clear and the reading looks fun! Let me say it was hard to remember what had happened in the story and there is something to be said for writing these down RIGHT AWAY! I went back and re-read both parts 1 and this section. It was easier than I’d thought it would be to get back into the story. I always mean to write down my thoughts AS I read... but sometimes I don’t. For this section, I just read the whole thing and then went back to jot down my notes on a reread. I love how McCall uses spanish words and works their meaning into the writing. If I’ve said this before, it bears repeating. I’ve read books where you have to look the words up in the glossary and it takes you out of the flow of story. That being said, I was thoroughly confused about El Nagual and Un Brujo. Did they both mean The Warlock? I also love the way she incorporates the Spanish! I like the fact that there is a glossary, but I don’t want to have to use it for everything. There was at least one phrase I couldn’t find the glossary, though.... but I can’t remember what it was now! I’ve cleaned up my house a few times for visitors since I jotted down my notes and I can’t find my journal. Wow! This section took a decidedly darker turn. I don’t want to give too much away but the car, the fairy tale lady (I kinda wish we weren’t told who she reminded them of, it might be a fun connection to get students to guess), and the 3 trials! Whew! I liked the darkness in this section. I think all too often we assume that kids can’t handle dark. But I’ve read several really dark books this summer (like Doll Bones) and some that just had dark aspects (like Sidekicked, which tempered the humor with the ethical discussion and darkness)... and I think kids really want and need these types of books. I agree. I was just not expecting it. Of course, they did fish a dead man out of the river and drive around with him...so, dark is relative here. I will, of course, have all three of these in the library with Doll Bones going on the Mock Newbery table. The Initiation covered what could be the middle part of the hero’s journey. We had trials, the Goddess, and the Temptress. Following the same path from part 1, the girls would need to have an Atonement - which I think is the Grandma. She provides a place of rest and relaxation for all the girl’s and, in particular, Pita. But what is the Boon or gift that they are to return home with? Is it their renewed faith in each other? The realization that what happened between their parents was not their fault? Or did I miss it? I’m not sure yet about what they will be bringing home. I discuss the healing aspect in my thoughts as well. That may be it, or maybe it will be something else? 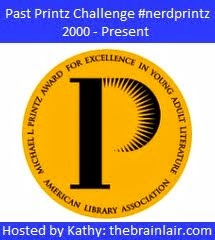 This book goes back and forth between Middle Grades and Young Adult. Who is the intended audience? I’m having a hard time determining which students would be interested (beyond a book club) or if I would just hand this to teachers. It also seems to be a book you need to read straight through and discuss in-depth. I find it easy to forget details when I put it down or is it that due to the reading I did in between? I think I could make a case for using this with my very strong 5th grade readers, but I can’t see just putting it into an elementary library. There’s just too much they wouldn’t “get” out of the story, I think. I think I’d remember a lot more of the detail if I read it straight through, though. I also think this would tie in well with a unit on the hero’s journey, especially for kids who are interested in myths and Greek legends. If I didn’t do it with a group, I could definitely picture several students that would love this story. But my kids aren’t typical upper elementary readers. I think this book would be marvelous with enthusiastic readers in middle school - again, the ones who have the Greek background (Much more common now, due to the popularity of Percy Jackson). So I could do a hero’s journey book club or a modern mythology book club. Hmm...possibilities. This week we discuss the cover. 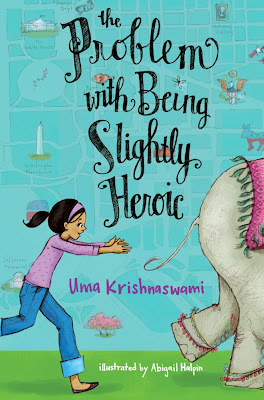 I'll talk about why I wanted to read this one and Maria has provided us with links to her Connect the Pop guest post she did at School Library Journal (SLJ) about The Hero's Journey, my current obsession. 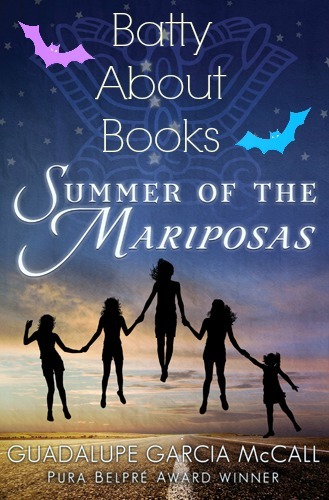 We hope to discuss Summer of the Mariposas through the eyes of the Heroine's Journey. Stop by Maria's Melange to get a more detailed look at the cover. I love the simplicity of the cover. The font of the title seems to want to fly while the author’s name seems to ground the image. I like the stylized version of the mariposa (butterfly in Spanish) as a constellation. I also like the five girls on the cover but wonder if it will limit who picks the book up. I had the same thought, about the girls. I’m hoping that the fact that they aren't lounging in dresses or gazing coyly at the reader will help. If boys who love mythology hear there is an Odyssey connection that may also help. Cinco Hermanitas. Five Little Sisters, Together Forever, No Matter What. I love that. It’s simple. Although, beyond telling you that the five girls on the front are sisters, it doesn't tell you much about the book. Sometimes I don't want to know too much. I love this tagline. I love the opening of the synopsis: “When Odilia and her four sisters find a dead man in the swimming hole near their hometown of Eagle Pass, Texas, they embark on a journey to return the man’s body to his family in New Mexico.” The whole idea of finding a dead body reminds me of the movie Stand By me, which I loved. I'm a little concerned with the several references to the Odyssey. Will it turn off students who haven't read it? I'm thinking the mythology references will be a plus to my population (even if ends up being a book I can only recommend to students once they leave me). It’s a nominee for a committee I'm on, so I have to read it. It’s a nominee for the 2013 Andre Norton Award for Young Adult Science Fiction and Fantasy and every year I promise myself I will read those books and I'm finally fulfilling that by reading one per month. This book is also diverse, something else I’ve been thinking more and more about and through reading more books with multicultural characters, not only will I be able to help my teachers broaden their selections but my students, too. Last week, Maria and I had a great conversation about the hero’s journey and she mentioned the “heroine’s journey” which I'd never heard articulated. She really sparked my interest! I'm excited to learn more about this from her as we work our way through Summer of the Mariposas. 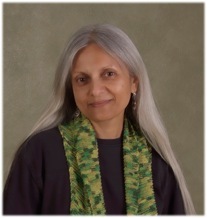 Maria’s post for School Library Journal’s “Connect the Pop” series on using fandom to teach the Hero’s Journey - includes links to simplified HJ page and video.